Visitors can find 2bm on Stand D910 at Data Centre World 2019 on March 12th-13th at ExCel London – in what has become the largest and most influential gathering of data centre expertise, industry leaders and practitioners in the world. Our mission remains the provision of the very best data centre solutions, hence why DIRAK GmbH will again be joining us on our stand. DIRAK are developers of mechatronic locking solutions for controlled access and organised security in data and co-location centres, telecomms, industrial and healthcare. As well as providing the best solutions, we also look to inspire our clients and, in doing so, reinforce our reputation as the turn-to company for expertise, innovation, care and value. We are again showcasing our capabilities as architects of data centre change, delivering the very latest and best data centre designs spanning a wide range of industry sectors. In addition to design, many of these projects have a heavy focus on security, IOT, cooling, edge computing and industry 4.0. 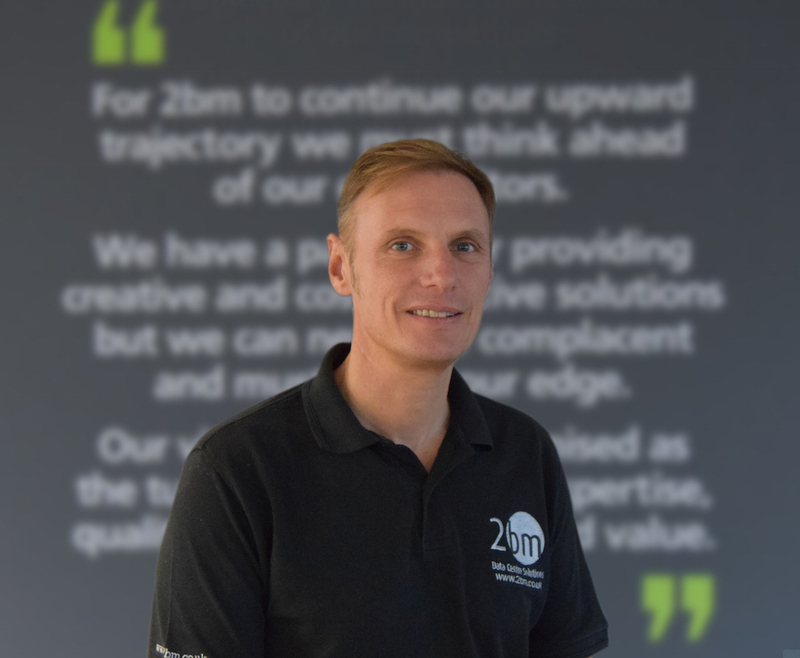 2bm has established itself the leading name in data centre design and build, thanks largely to our forward-thinking approach. Our in-house team and expertise draws Government, MOD, finance, education and blue chip clients from around the world, in particular, for projects with a need for HPC, higher densities and Big Data through research. These place an increasing demand on the power required for servers to operate with maximum efficiency, together with our specialist cooling team working on bespoke high-performance products. With companies working hard to keep their data safe, it is vital that physical data centre security is treated as a priority. One of the most efficient ways of keeping data physically safe is through the use of security handles. E-LINE by DIRAK provides complete control over which individuals have access to racks, including the delivery of a full audit trail of user activity. Along with the Administration Suite, E-LINE has a host of intelligent features that go far beyond the standard key lock. 2bm’s team has travelled the world fitting DIRAK security handles for customers ranging from ARM to the European Border and Coastguard Agency, delivering products tailored to their specific and, at times, complex needs. 2bm’s in-house team of experts in data centre maintenance offer a 24/7/365 monitoring and alerting service supported by a team of PPM co-ordinators. Under the heading ‘Total Maintenance’ there is absolutely nothing we cannot maintain or service in your data centre or server room, taking away the time-consuming administration of service and maintenance as well as assisting in ensuring everything runs as efficient and smoothly as possible. Pop over to stand D910 to say hello and for a refreshing alternative (a drop of the black stuff! ).